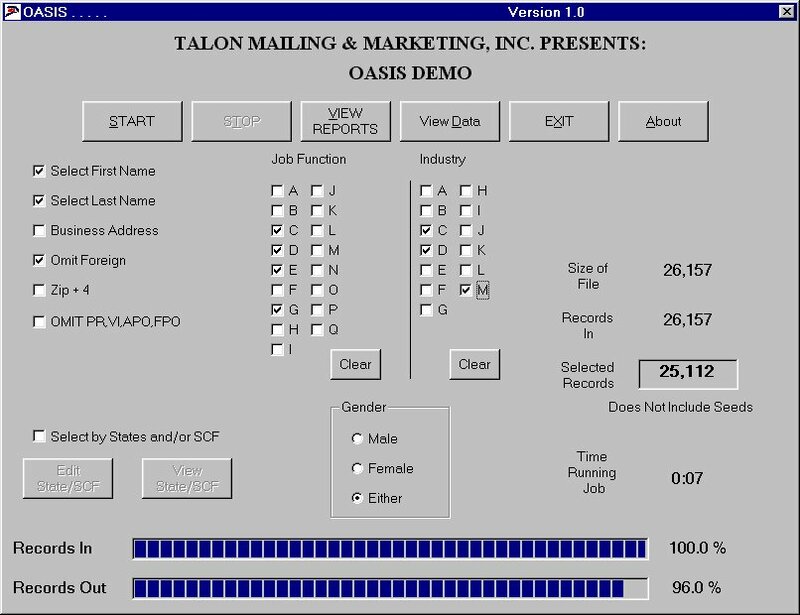 Welcome to the Talon Mailing & Marketing November 2017 Newsletter. Marketers that remain fixated with digital channels might need to rethink their strategy. New research has revealed that 87% of consumers consider mail communications to be ‘believable’, while only 48% feel the same way about email. The same research found that mail is regarded as ‘more likely to grab the recipient’s attention’. Conducted in May of this year by Royal Mail MarketReach and TNS, the research followed the same model set by studies carried out in 2007 and 2013, allowing shifts in consumer opinion to be tracked over a ten-year period. 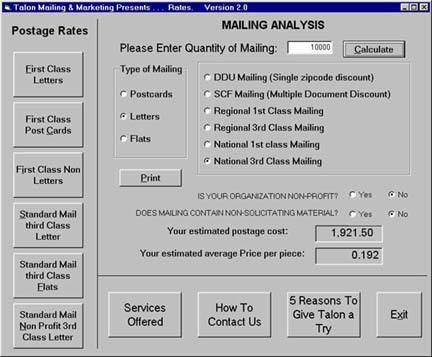 The surveys included several questions addressing emotional engagement, ie how mail makes the respondent feel about the sender organization, and what it implies about how that organization regards them personally. Between 2007 and 2017, the percentage of people stating that mail makes them ‘feel valued’ has increased to 70%, compared to only 43% in 2007 and 57% in 2013. 70% also responded that mail also ‘gives them a better impression of the company’, again rising from 53% in 2007 and 55% in 2013. The findings confirm that, in a digital world, where a vast and growing volume of emails are sent every day, the comparative rarity of real-world ‘physical’ mail has led to it becoming increasingly valued and trusted by consumers. Better yet for marketers, the media can positively impact on the perceived trustworthiness of the communication itself and help to create a more rounded, more believable brand identity. It's interesting to note that, while marketers often debate how best to mix the strengths of the various mediums available to them, little thought is dedicated to how consumers’ relationships to those mediums may evolve over time. One potential reason for consumers’ positive shift towards mail may be, ironically, the way that marketers have over-utilized email marketing in the past, by sending too many irrelevant emails to the wrong targets. Likewise, in the age of fake news, malware and phishing, it may be that a wider, growing unease or ‘trust fatigue’ with digital channels is fuelling the increased consumer desire for the trustworthiness and tangibility of mail. But it’s not just all about the ‘feels’: the recent IPA TouchPoints survey tracked the range of responses from consumers to receiving mail and found that commercially relevant responses included increased enquiries online and by phone, increased store visits, purchases and service renewals. A Brand Science review of multi-channel campaigns concluded that when mail was included in the marketing mix, campaigns had 12% bigger ROI than those without mail. While digital communications remain a key and crucial part of the marketer’s toolkit, this latest research makes it clear that email cannot be regarded as a straight replacement for mail, nor is it likely to deliver the same results in terms of consumer engagement and sales performance. Whether marketing happens online or off, there is one thing every smart integrated marketer worth their salt is after: They want the customer to respond. It’s called direct response marketing for a reason: you need your customer or prospect to respond RIGHT NOW. What sort of offer will spur them to action? Don’t make your customers guess. Tell them exactly what to do next! As Dan Kennedy writes, “Tracking means accurately collecting all the information you need to determine what advertising is working and what isn’t, which offer is pulling and which isn’t, what marketing has traction and what doesn’t.” In other words, tracking equals paying careful attention to ROI! 10. Keep Your Business On A Strict Direct Marketing Diet For At Least Six Months. Granted, these 10 direct response commandments are built around tough love, and they are definitely old school. But why not check out the tried-and-true disciplines Kennedy recommends – and let the results speak for themselves. Do your words really capture prospects’ attention? At a recent B2B Connect to Convert conference, HBT Marketing’s Chief Creative Officer Nancy Harhut shared key ideas for better B2B copy writing in a content master class. Here’s 10 of her top tips. 1. The Authority Principle: Position your brand as one whose words should be taken seriously. If someone is an authority figure, we tend to believe what they say. As an example, Harhut cited the time criminals reportedly dressed as Wells Fargo security guards and had their ill-gotten gains literally just handed to them because they looked the part. 3. Be Consistent: People like consistency–if you can get them to say “yes” once, they’re more likely to do so again. “Remind people if they’ve said yes before, and make it easier for them to do so again,” she said. 5. Consider the Size and Placement of Copy: Contrary to what one might think, some studies have shown that when a sale price is printed in a smaller font, people think it is a better deal. Anchor your sale price by putting it to the right of the original price. Also, she said, printing the original and sale price further apart makes them feel like they are further apart not only physically but in amount as well. 6. Eye Magnets: When people read, they tend to skim and scan. Certain words act as eye magnets, drawing readers to where you want the most attention. “Free” works well, and buyers will often spend more to get a free gift or free shipping. “Secret” is also a strong word, as it helps persuade people they are getting special access to something not readily available. “Alert” gets attention because people are constantly on the lookout for possible danger, while “minutes” as in “This will only take five minutes of your time” can imply that something is easy to accomplish. 8. Herd Mentality: Your customer may be starting from a point of skepticism. Showing them that others have already taken action can help move along their consideration process, she noted. “Almost sold out” lets people know they need to act fast, while a long list of customers, donors or attendees gives them confidence that others have already taken the leap. 9. Jargon: Generally speaking, you want to avoid jargon. “You think it will make you sound more impressive, but typically it backfires,” said Harhut. “People don’t want to work too hard—write in easily accessible terms. Don’t use a 75 cent word when a 25 cent word will do.” Are there exceptions to this rule? Sure. If you’re trying to convey insider status or suggest more value, this is where to spend those pricier words. 10. Call to Action: Don’t confuse people. Have one clear call to action in your copy. If you must have two, make the most important ask the most prominent one. Keep your CTA simple, and remove extraneous language. All you have to do to win is be the first telephone caller (please don’t hit reply or send an email). Voice mail messages count so it's fine to leave a message. Call Michael Borkan at (631) 667-5500 x 11. Tuesday December 12, 2017. Nets vs. Wizards 7:30 PM. Airtable.com - Organize anything. Airtable makes it easy to organize stuff, people, ideas and anything else you can imagine with your team. Boomeranggmail.com - An email app that boosts productivity. Boomerang includes everything you need from an email app: snooze, send later, response tracking, follow up reminders and more! Plus, iPhone users can get more done with the first work-focused AI voice assistant. Piccollage.com - Download the best app for editing photos and making cards and photo grids for the any occasion. Choose from hundreds of photo grid layouts and sizes. Getrevue.co - Every company should send a newsletter. Revue makes it extremely simple to send yours today and start a conversation with your followers. Slidesppt.com - Having super beautiful, editable, clean and professional designs, you can just adjust any of our presentation theme, start working out of the box and communicate your ideas focusing in what really matters to you: the content. Gettoby.com - Bookmarks are for books, not browsers. Organize your browser tabs into Toby so you can access key resources in one click instead of seven.